An important part of yesterday's meeting and in this first morning session, although shorter, was dedicated to discuss issues as important as workers' welfare and their right to a fair retirement. The preliminary draft of the new Social Security Law - and we repeated some of the issues you already discussed in depth to better inform our people -[pauses] in other words, the preliminary draft of the new Social Security Law, especially the proposed changes regarding retirement age and number of years of work required to be entitled to it, correspond with the reality of a nation where life expectancy is higher every day and the birth rate has remained very low for several years. This is a typical phenomenon among developed nations; the difference is that, in out case, it is in an underdeveloped nation and therefore has its own unique characteristics. Allow me to spend a few minutes highlighting, or explaining or updating some of the figures you were given -provided -yesterday and today, as we already mentioned, in an intelligent manner by the Labour and Social Security Minister, especially yesterday's version which was much more extensive regarding these two figures, life expectancy and birth rates which make it necessary to modify the Social Security Law, in order to inform our people directly, as we already said. During the 2005-2007 period Cuba attained a life expectancy at birth of 77.97 years of age for both sexes; 76 for men and 80.2 for women. In other words, this privilege that all Cubans equally enjoy places us among the top 25 per cent of the world population whose children can expect to live 77 or more years. It also means that our comrades live five years more than the average person in Latin America and the Caribbean. There is not a significant difference among the provinces but as a point of interest I will add that the one with the lowest figure is the capital [Havana] with 76.81 years of age. Where are the delegates from the capital? Over there. Good. Greetings! And the highest are in Las Tunas with 79.28. Where are the delegates from Las Tunas? Congratulations. Therefore, I will not recommend moving from the east to the west [laughter] to those who hope to live as long as possible [chuckles]. A little jest if you do not mind. That last part ought to be that way in reality, but it is not going to be that way because, for example, no one in Havana wants to work as a policeman, and we have to bring in, not thousands, but tens of thousands of policemen, especially from the eastern provinces, with all the problems that implies; and by the time they are experienced, a large number, as is natural, want to return to their families, the lack of housing, etc, etc. It seems no one in Havana wants to be a policeman. It is not going to be as we stated in the document, and I continue with the jest, once in a while my jests bear a message, because, who is going to work in construction in Havana unless construction workers come from throughout the country? Particularly from the eastern provinces, because hardly anyone in Havana wants to be a construction worker. It seems there are many options although all jobs are honourable. We even have to bring in teachers from other provinces, particularly the eastern provinces, to work in Havana. I believe Havana has the largest population. We rack our brains over how to solve the problem of the policemen. How to solve the even more complex problem of the lack of construction workers with so many things needing to be built, with a materials enterprise, no, the construction materials enterprises we are endeavouring to develop with planned investments in new cement factories and the upgrade or enlargement of the existing ones, as one of the main components for the construction sector, etc, etc, etc. I think -and continue with the jest, I will let you know when it am done [pause] I was telling Interior Minister Colome in recent days as we studied these problems that we might reach a point when we have to ask all the provinces, even the microprovince [Isla de la Juventud] of my friend Kcho [ANPP delegate Alexis Leyva Machado] -I call it a microprovince because it is a special municipality that has always aspired to be a province but cannot because it would cost more -that each of the provinces, as I was saying, ought to have its own construction workers, ought to have its own teachers, and ought to have its own policemen, just to mention three important sectors. What do you think? I believe we have to research it. We have to speculate that if the people from the eastern provinces do not come to watch over the people of Havana the number of robberies will begin to rise [pause] but I believe that [pause] this is only to give you something to mull over. End of the jest. I continue with the address. In the 1950-1955 period, during which we attacked the Moncada Garrison, life expectancy at birth was a little over 59 years of age. In other words, since then, it has grown by nearly 20 years, despite the difficulties imposed by the blockade and the rest of the empire's aggressions, to which then were added the problems derived from the Special Period. It is undoubtedly a great victory for the Revolution. Another very important index, given its significance for the topic we are discussing, is how much longer will a Cuban live on average who presently reaches the age of 60? This is what is called geriatric life expectancy - in other words, how long one lives after 60, which at present is 20.8 years for men, the 8th place in the world with France and Italy. In order words, the eighth place. I will add that the United States is in 10th place. For Cuban women, the geriatric life expectancy is 23.4 years, 16th place on the planet and ahead of countries such as the United Kingdom, Denmark, and Norway. In other words, during a period of over 40 years, a little more than half of the life expectancy of a Cuban citizen, all the expenses incurred are shouldered by the working population, which as I will explain further ahead -a topic which was already broached yesterday and today -tends to be smaller and smaller number every day. This is a very different demographic and economic situation to that of 1 January 1963, the year when the Revolution circulated Law 1100 which for the fist time in our country guaranteed social security for all workers and their families. Since that day, the revolutionary state undertook the expenses of the 55 so-called retirement funds that existed up to that point, unable to pay the pensions of thousands of workers who had contributed to these funds their entire labour lives to find out in their old age that these funds had been embezzled by officials of the corrupt governments prior to 1959 and above all by the Batista dictatorship which had utterly forsaken them. Since then, May 1963, the retirement age has remained at 60 years for men and 55 for women. [Words indistinct] in May 1963, the retirement age for men was set at 60 years and 55 for women. At the time, the main problem facing the country was the thousands of unemployed. Birth rate broke historic records and life expectancy was relatively low. In 1963 it was 62 years. The current situation is radically different and it requires us to extend the active life of citizens. Remember that in the budget approved by this assembly [pauses] for the current year, social security and social assistance expenses represented 13.8 per cent, close to 5.2 billion pesos. There is also the issue of low birth rates, which has been an ongoing issue for several decades now. This and other factors have caused population numbers to continue dropping in recent years. In 2006, birth rates reached the lowest levels in 60 years and population dropped by more than 4,000 people compared to the previous year. Last year, in 2007, the drop was lower, as a result of a slight increase in birth rates, but the trend remained. The combination of all these factors is already appearing in unfavourable trends among the working-age population -in 1980, almost 30 years ago, more than 238,000 youths reaches this age, and last year it was 166,000. That is 72,000 less and estimates indicate that it will drop to about 129,000 by 2020. Those same estimates indicate, as the labour ministry said this morning, that by 2025 there will be 770,000 fewer citizens than now in that age bracket. Under the stipulations of the current social security law, there would be more leaving active employment than there would be joining it. Also, these problems, as almost all demographic problems are, cannot be solved in the short term, and time flies. In 2007, people over 60 years of age were 15 per cent, excuse me, accounted for 16.6 per cent of the country's population; the year before, they constituted 15.9 per cent. That was in 2006, and in 2007 it was 16.6 per cent. These figures will continue to increase together in a more prominent way in coming years. Really, we have not revealed anything new as the data you have there indicate. The amendments included in this draft bill have been implemented for years by nations facing similar demographics, and the exact figures were provided by comrade [Alfredo] Morales Cartaya this the morning. In general, developed nations and the number that have had to take these measures [pauses for six seconds]. However, these countries [pauses] that is, despite that, as you already know, they absorb these negative effects through brain drain and the importation of cheap labour from the Third World, and when they face crises, we then see incidents such as the one we criticized in the declaration the assembly approved earlier. Here is some information. Retirement age in the United States is 65 for both males and females. The same goes for Canada and Mexico, as well as others countries in the Americas. In Europe, Finland, Sweden, Spain and Germany, they have the same parameters of 65 for both sexes, also in Asia. Japan does, and we can cite others. Let's see the countries that have 65 for men and 60 for women as we are proposing -in the Americas: Argentina, Brazil, and Chile, among others. In Asia, Israel and Iran, and in Europe, Italy, Poland, Rumania and Austria, the latter has already announced it will raise it to 65 for women. There are more examples. Also, many countries have privatized the social security system or do not cover the entire population. In a good part of the world, neoliberalism has simply opted to have the state get rid of the problem and leave people to deal with it as best they can. This is not only about numbers. It is evident that Cubans in general, just like people who have adequate health services and satisfactory sustenance, reach the ages of 60, 65, and even older in good physical and mental condition. This is evident, but as with any rule, there are exceptions that the law has taken into account. Also, the majority are professionals, technicians, or people with valuable skills. Sometimes in areas where there are shortages and that are highly needed in the country, therefore they feel they are able to continue providing and receiving the corresponding benefits. This is a viable given the real and current economic possibilities of raising the income of a great number of the population; [?I am obviously referring to those who agree with the regulations of the new law.] I have talked a long time, but I think the topic deserves it. The draft bill introduced includes other possibilities such as the reincorporation into the workforce and receiving full salary for those who retire under the new rules, I repeat, under the new rules. It also modifies the calculations for pensions so that those who retire under the new age restrictions and number of years employed, could receive a higher pension that would be consistent with the salary, contributions, and years of service. Also, we are reviewing, although not as part of this law, the possibility of having more than one work contract and receiving the total income by the person who so choose, the so-called multiple jobs [pluriempleo]. As we have explained before, the implementation of the new rules will be a gradual process that would extend through the next seven years so as not to affect the workers who will reach their age of retirement in that timeframe, as established in the current law, and who wish to receive only the benefits. In the beginning, we thought about a transition period of ten years, but by extending more, we would have to deal with a growing crisis since as you know, by the year 2020, only 11 years from now, more people will be leaving than joining the active workforce based on the terms of the existing law. Also remember what I said earlier in this address, by 2025 we will have about 770,000 fewer workers, hence the decision to propose a seven year period. Once we include the deliberations from the deputies and the ones we expect to receive after holding consultations with the workers, a draft of the law will be submitted for approval during the next ordinary session at the end of the year. It is one of the many steps we will have to take to establish norms and mechanisms in order for salaries to restore their role. I will only add that we will continue to review the problems with salaries in order to gradually increase them based on priorities. I am not giving dates nor sectors, it will have to be determined by the economic situation of the country, which is inevitably linked to the current worldwide crisis that could even get worse. It is my duty to speak frankly, as creating false expectations would be dishonest." Moving on to discuss another important issue. Today we are in need of teachers and professors. For various reasons, thousands of them are no longer in the classroom; some because they retired and others because they took on new responsibilities in the education sector. Since they are ideal cadres for multiple tasks, they are wanted everywhere. We also have a problem with wages. As an example of what I said, I would like to ask those of you who were teachers and are in the Council of State and the national assembly to please raise your hands. We could almost start a new university with you all. So, I would like to call those teachers and professors to return to their noble profession. These statements and applause are not enough. 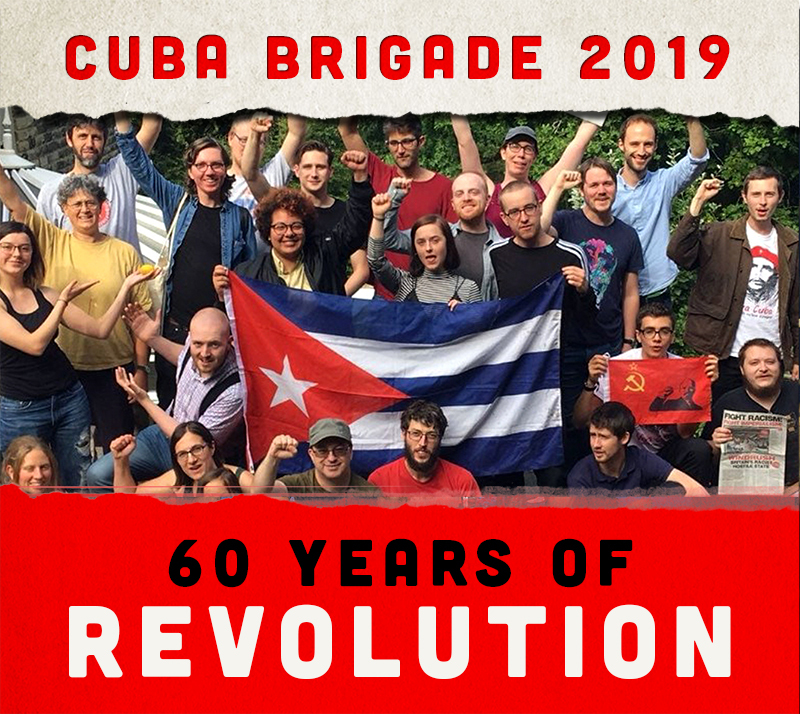 Starting with the union, the CTC [Cuban Workers Federation], the Party, mass organizations, they can all contribute a lot to this, and all of us should make an effort because [words indistinct]. Obviously, a good disposition is not enough. We will have to see what new guidelines the new education minister establishes and who will be accepted or not. We trust that many will return to continue contributing to the advancement of our education system and in doing so, to support the training and development of young teachers, who have contributed to Cuba staying ahead in this decisive front as was revealed in a recent UNESCO study. It placed our country ahead of all Latin American countries in third grade reading and math and sixth grade science and math with more than 100 points above the regional average. There are flaws and we are aware of them, but there is no doubt that our teachers deserve the greatest recognition and the respect of all of our society, especially from parents and students. I remember that a couple of years ago as we faced the need to massively modernize our armament; we made a similar plea to engineers, technicians, and skilled laborers and other specialists in the military industry who were already retired. Many answered the call and are still working, among them a couple of grandparents. Going back to the topic of wages, we would all like to proceed more quickly, but we must act realistically, unlike those who spread the absurd and in no way innocent lie throughout the world that the Cuban worker earns on average the equivalent of $17 monthly. I recall the [words indistinct] minister reported that the average salary was 436 pesos, how much is it divided by 25? Seventeen or 18 dollars? Tomorrow you will see how the international media will describe your words. They will say it is the equivalent to $17 or $18 a month. They simply divide the average income by the exchange rate established for currency exchange offices, known as Cadecas, in other words divided by 25. They do so knowing that not a single capitalist country can afford to cover all that an average Cuban family has access to with $17 times 30, to quote a conservative figure. We know there are problems. Just to give you an example. Today an average family pays about 118 pesos a month for regulated products, all of them subsidized, which would currently cost $61. That does not mean that we are satisfied with what we have achieved, but we are aware of the problems -the products that are scarce or insufficient -and we are working to have fewer every day. The harder we work, the faster we will get there, but we must be aware that every wage increase we approve, or every price we establish, must be consistent with our economic possibilities. Otherwise, the amount of money circulating increases, prices automatically increase, and there is no real purchasing power increase. These are not issues that can be solved through a decree. In our case, they are more complex because the Revolution does not use shock therapy, which we are seeing in every continent today and do nothing more than put the full load of the crisis on the people. In the minds of cadres and workers there are still vices such as indiscipline, and its acceptance, which have a direct impact on productivity and efficiency. First, the work truly meets the demand of the entire population. Second, that order, control, and rigorous discipline ensure efficiency, savings, and prevent the theft or embezzlement of resources. Third, the elimination of unwarranted handouts and excessive subsidies. I repeat, the elimination of unwarranted handouts and excessive subsidies. Fourth, an adequate tax and contribution system so that we all contribute to support services that are provided free of charge or at highly subsidized prices and to finance activities such as defence, domestic security and order, public administration, and many other activities vital to running any nation. Socialism means [pause] oh no, pardon me, that is [pause] it is not that the farmer was ignorant. At this point we still have to figure out how many veterans we might have around in the Finance and the Economy and Planning Ministries who might know something about taxes. I mention this because we have to implement them and it is a [word indistinct] that requires regulation, demands many things. In all honesty, I can tell you that I have been waiting for weeks for the figures on how many things in this country are free or subsidized. There are so many that I still do not have a number. In all honesty, I also must tell you that all these problems we are analysing [word indistinct] social security [word indistinct] work less. This is a reality that you can confirm in any corner of the nation. Pardon the bluntness of my words. It is not mandatory to agree with them. Socialism means social justice and equality but equality equality of rights and opportunities, not salaries. Equality does not mean egalitarism. This is, in the end, another form of exploitation, that of the exploitation of the responsible worker by the one who is not, or even worse, by the slothful. Another vital issue is that the work force be were it is needed. This is why I was saying that each province should have its own teachers, its own doctors, its own construction workers, etc. And since we are one single and very united nation, if one region needs any type of help, and under any circumstances, it will get it from the other but the Party, the social and mass organizations, the provincial and municipal government entities must think about these issues. [Words indistinct] what we want is to engage our minds and focus and all those visits by the delegates, a correct decision, to the municipalities where they were elected, is correct, but we have to reduce the [word indistinct]. Avoid what has happened too often, that we are welcomed with a prefabricated programme like a foreign delegation or a member of the diplomatic corps. The not-so-young will remember that from this very same podium, when the provinces used to present their performance reports, which they have not done so in a long time, a government president, a good comrade, read a report here, which I had no other choice, despite the embarrassment it caused me, and the shame I felt for him, but to pronounce a strongly worded address that resulted in the dismissal of the one responsible for it, beginning with the first secretary of the Party in the province, Granma, a [words indistinct] from Granma. Do you remember that? The not-so-young will still remember that. I am still very young so I still remember it. I will never forget it. Another vital topic, as I was telling you, is for the labour force to be where it is needed, otherwise I ask you, who is going to plant and harvest the food we consume that is constantly become more expensive in international markets? At times, I put it in simpler terms and ask: Who is going to plant the beans? Who is going to build the projects needed? Who is going to produce what is required to underwrite the social security funds we were talking about, the health and education programmes, to mention only these three important social accomplishments to which the nation allocates nearly 43 per cent of its budget. If we add the budget for sports and culture, these five sectors, social security, health, education, sports, and culture represent 55 per cent of the national budget for this year. The remaining 45 per cent cover the rest of the national activities. The slots provided by the education facilities must be proportional to the future labour needs and possibilities. I repeat: The slots provided by the education facilities must be proportional to the future labour needs and possibilities of each specific region. Also, they must be assigned to those who are truly interested in working in the field. Look at the numbers and you will find out that several graduate in one field and three months later are working in a different one. This is wasteful. Some, to avoid being sent somewhere, register in a technical school and then find a way to go somewhere else. Besides, in addition to giving them to those truly interested in working in that field, didn't we talk about agriculture and the lands that will be given out? Is the minister of (pause) Why did you raise your hand ahead of time? Is she the only one here? Maria del Carmen is the Agriculture minister. In the meeting of the Council of State and the Politburo that we had last night where we analysed these issues and address, she asked for a figure on how many have graduated as agronomists and how many are still working in that field. You were very far away! [acting Agriculture Minister Maria del Carmen Perez] Yes, yesterday we were talking with comrade Fernandez and found out that there were more than 31,000 graduates. [Perez] More than 31,000 agronomists. And right now in the Agriculture Ministry, not the Sugar Ministry, we have about 8 per cent, or between 6,000 and 7,000 agronomy engineers. [Castro] There is always a number of deaths and so forth. The Sugar Ministry should have fewer. I will not ask you. I did not ask you yesterday, but you have the figure in your head, or you can give an average. [Sugar Minister Ulises Rosales del Toro] Army General, we have 20 per cent, and those presently in school fill the gap. We have the advantage of the Alvaro Reinoso Programme. [Castro] The downsizing of the sector. These are not the most eloquent of examples but you can verify this in your own regions. Thank you both. I will now continue addressing these issues. A break to drink tea if I may [drinks tea]. Harmony between planning and organization is essential in socialism. I repeat: Harmony between planning and organization is essential in socialism. Its absence can lead to a chaos more dangerous than capitalism, where market laws establish a certain order and balance, though at the cost of the sacrifice of billions of human beings on a global scale. In socialism it is vital that the allocation of resources in the economic plans strictly reflect the available funds. We cannot expect two plus two to total five. Two plus two is four. Actually, sometimes in socialism two plus two equals three. I give you these ideas, in the first place, to encourage you to think. Not just you, comrade deputies, but all of our compatriots - the whole country. Some of these ideas are personal opinions that should not be taken as immutable. They are matters that we must study and discuss deeply and objectively, the only way to continue finding the best way to carry on the revolution and socialism. Let us not forget the observation comrade Fidel made during his landmark address in the main hall at the University of Havana on 19 November 2005, when he said: I have come to the conclusion after many years that among the many mistakes we have all made, the largest was believing that someone was an expert in socialism, or that someone knew how socialism is built. End of quote. Another permanently valid concept is that the fewer resources there are, the more discipline is needed, and the more we must foresee, plan, organize, demand, and save. The current world economic landscape, and therefore our own, urgently requires this. I am not very young any more, although I feel young, and we have proven many of these matters in practice. We encountered a huge problem when we had an enormous army which came to have, including the 55,000 men in Angola at the end, approximately 280,000 men and 50,000 officers, though we had already carried out some gradual reductions when the Soviet Union fell. We applied these principals in the Armed Forces, and we saw the results. We have been successful in everything [words indistinct]. [Castro apparently repeats himself] Another permanently valid concept is that the fewer resources there are, the more discipline is needed, and the more we must foresee, plan, organize, demand, and save. The current world economic landscape, and therefore our own, urgently requires this. In 2003, a barrel of oil cost approximately $28. At the same time last year it already cost between $70 and $80. It recently broke the $145 mark. That is more than five times the price five years ago. It is impossible to say when the price will stop climbing because the world oil supply is being depleted more quickly than previously calculated. For example, just a few hours ago in Europe, the price per barrel surpassed $147. Brent oil, from the north. It was at $145 for a while, and then a few hours ago it went up to $147. There was no movement in the US market, and then during our lunch break it rose to the same price in New York. A little more, $147.50. The value of the dollar continued to fall. New examples. I had a paragraph left. When speaking of oil there are other factors as well, such as agro-fuel production, financial speculation, and the devaluation of the dollar, to name just a few. These have caused a rise in price for almost every food product and the resources used in their production. Three examples: in July of 2007, the price of importing rice had risen to $435 per ton. Today it costs $1,100 per ton. It used to cost $435. A similar amount of wheat, one ton, cost $297 when we spoke in Camaguey last year. Now it costs more than $409. During that same address in Camaguey on 26 July I said that a ton of powdered milk at that time cost the astronomical sum of $5,200, whereas four years earlier it cost $2,100, less than half. Everything is more expensive. On top of everything, fertilizer prices are among those that are climbing fastest. One of the most important fertilizers rose from $303 per ton in July 2007 to $688 now. Another commonly used one, [word indistinct] cost $400 a year ago but now costs almost $700. It seems like the work of the devil. Fidel's prediction in his reflection of 28 March 2007, which was titled More Than 3 Billion Condemned to Death by Hunger and Thirst, is coming to pass. There is no solution on the horizon, at least not as soon as needed. The situation may even get worse, though some insist on keeping their eyes shut. We will continue to do whatever we can to ensure that these serious problems affect our people as little as possible, but it is inevitable that we will suffer the effects to a degree in some products and services because on top of everything the enemy is doing everything possible to cause us problems in an absurd attempt to bring us to our knees. Recently, each time our country has adopted a measure, some US official - whether an ambassador or the president -has called it insufficient and cosmetic, though nobody here asked for their opinion. I reiterate that we will never make even the smallest decision as a result of pressure or extortion, whatever the source: whether a powerful country or an entire continent. We showed this when, at the insistence of the United States, we were forced out of the OAS and all of the countries in Latin America, with the honourable exception of Mexico, broke off diplomatic relations with Cuba. We also remember when, in 1996, under the same imperial mandate, the countries of the European Union adopted the Common Position against Cuba. These would-be accusers, especially the United States, now face the accusations of many peoples for the hundreds of people kept in subhuman conditions in the southern region of our country at the naval base in Guantanamo without regard for the universally accepted rules for the treatment of prisoners. Millions of people all over the world condemn them for the hundreds of thousands of civilians murdered by the bombs and machineguns of the occupying army, whom they euphemistically call collateral damage; for the indiscriminate use of torture, extrajudicial executions, and secret prisons used in the secret transportation of prisoners and other serious violations of human rights and laws. It is foolish to think that a country that has resisted acts of terrorism, economic warfare, and aggressions of all kinds for half a century would give up victories that have come at the cost of enormous sacrifices only to satisfy certain circles of power in the United States and their supporters elsewhere. The unequal battle of this small island against such a powerful enemy has gained it the respect of the people and a significant number of governments, especially the countries of the Third World. Others, though they may not share some of our ideas, have adopted a more realistic attitude. Now I will discuss another matter that is important to our economy. We have to definitively reverse the trend of declining cultivated land. Between 1998 and 2007, in just nine years, it declined by 33 per cent, one third of cultivated land. An important factor in this was the limitations imposed by the Special Period. Stated simply, we must return to the land. We must make it produce. We are working deliberately and steadily. There is already a clear strategy and a plan of action, from the national level to the lowest level of production. There are ideas about how agriculture and cattle should be handled at this time in Cuba, where approximately 75 per cent of the population lives in urban areas, which does not mean that the remaining 25 per cent works in the field. Therefore, not one suitable hectare can remain unplanted, especially in the areas immediately surrounding each town and city. It is much more economical to take advantage of those nearby lands than spend money transporting workers or students long distances, at times only to work half a day. In this way we can avoid losses and low productivity. We have the excellent results from urban agriculture which, without resorting to large mobilizations or expenditures, has produced a considerable amount of vegetables and encouraged the consumption of those important foods, as well as provided employment for more than 300,000 people, including some 60,000 women and approximately 40,000 retired persons. These are realistic alternatives for a country whose resources do not always allow it to use modern technologies that are very productive but expensive and consume fuel. We will use these technologies when they are economically justified, as we have done with machinery, agricultural tools, chemical products, irrigation systems, and covered plots with encouraging early results. But there are also farmers who have obtained good results combining science with the ox, organic fertilizer, other traditional techniques, and above all a great deal of efficient work. I recognize and admire the great socialist state enterprise, and we will not renounce it. I know of many enterprises that produce efficiently. However, this in no way contradicts the role of the cooperative in its various forms and the small farmer, notable examples of which I could also cite. These are all forms of property and production that can coexist harmoniously because none are antagonistic to socialism. Very soon, as soon as perhaps next week -it says here they will be approved, but one can say that they were already approved last night during a joint meeting between the Politburo, the Council of State, and other guests -legal regulations will begin granting idle land in usufruct to those who are in a position to make them productive immediately. Other measures associated with agricultural activity will be adopted. Some of the necessary ones have already been implemented in order to guarantee this process, such as the creation of municipal delegations of the Agriculture Ministry and the restructuring of its enterprise system. From the centralized level all the way to the municipalities, the Party, Government, and National Association of Small Farmers are closely monitoring this process, which inevitably requires time for results to become noticeable -above all within an unfavourable, international economic situation. Once again, allow me [Castro drinks his tea]. I am a bit hoarse from speaking so much these days. Now, more than ever, we must invest our limited resources rationally, especially in obtaining utilities which allow us to cover the already high social costs in the country. Food production, the substitution of imports, and the increase of exports continue to be fundamental areas. Moreover, savings, as comrade Fidel told us, is today the most immediate and feasible source of resources, above all in fuel. Establishing priorities and strictly abiding by them and postponing investments which are not absolutely necessary to undertake immediately. Where it is possible, logical, and where the conditions can be created, employing double shifts to better use available equipment and shorten the time to finish projects, especially in the construction sector. To take advantage of existing infrastructure, for example remodelling old, underused buildings, of which there are many throughout the country. We are able to acquire, as is already being done, the equipment for the new industries which are being established as part of the programmes of the Bolivarian Alternative for the Americas, the Alba, especially in collaboration with Venezuela. Another situation I would like to discuss is the consumption of foodstuffs sent to worker cafeterias, schools, hospitals, and so forth. I am not speaking of what is sold in the ration book or in markets. In that sphere, which specialists call social consumption, waste and the lack of planning and control must cease. There are more than enough recent examples of how much is still wasted, used in an unplanned way, or taken out of circulation in a storeroom. I will mention a few cases that were found during a recent visit by Central Committee members to centres in the capital -work centres, hospitals, and schools -as part of drive by the Domestic Trade Ministry. I will also take this opportunity to recognize the efforts made by this ministry, particularly its leader, to turn excuses into solutions. It is not only a necessary recognition, but also a warning to those who administer or lead: evaluate yourselves constantly, always recognizing that nothing is perfect and everything can be improved. The first conclusion of these visits: month after month, the institutions receive their complete monthly allotment of food as if nobody ever missed a single day of school or work. The result: food supplies above the permitted inventory, which is a supply of 45 days, in the majority of the centres visited. I will not mention names; that is not our purpose. Unfortunately, it is very widespread. I repeat, very widespread. Rice -as I said, they should have enough for 45 days -rice: one hospital had enough for 147 days, another hospital with enough for 123, and another for 119 days. One school had enough for 88 days, twice as much; another had 86 days worth of that food, this price of which has more than doubled and now costs more than $1,000 per ton. Sugar: here it gets really bad. One school had enough for 908 days, more than two years; another school with 639 days; another with 294 days. One work centre had 300 days worth of sugar; another, 128. These are impressive, hair-raising numbers. Imagine this situation in the millions of cafeterias in Cuba. All of this creates ideal conditions for theft, misuse, or spoilage. It is the result of delivering supplies with bureaucratic methods without verifying how much was left over from the previous month in order to deliver what is needed. No. If they have so much assigned, each month they get so much, and if one month they did not get as much as they were due for any given reason, the following month they get the month's quota and what was omitted the previous month. This food is often distributed free of charge or at prices well below cost. Suffice it to say that to import the same amount of food as last year would require $1.1 billion. [words indistinct] I have heard of some institutions, very few by the way, where this does not happen simply because they plan, control, and demand. It is therefore something that we can solve without additional resources and in the short term. These are our problems. There will be more in the future. Such is life. But every time we see something poorly executed, we must work endlessly in order to end it. The truth is that the challenges are great and difficult, but our people have succeeded in much worse situations. Allow me to use as an example the FAR [Revolutionary Armed Forces]. It is embarrassing. Until not long ago I was the minister of the Armed Forces, but I believe it has a valuable lesson for times like these. The fall of the Soviet Union put an end to important subsidies for the country's defence system at a time when our country could not guarantee them. First, we said that beans were as important as cannons, and when the situation worsened we said that beans were more important than cannons. We are facing a similar situation. There were no regrets or excuses, the troops marched into the fields and in a relatively short time they produced their food, except for those items that were impossible to produce such as salt, sugar or wheat, which does not grow in Cuba. At the same time, the enterprise structure that gradually assumed said production began to organize itself and the combatants returned to their regular duties. The military agricultural union whose acronym reads UAM was created. Fifteen years have passed since. Today defence preparedness is more effective than ever, including Operation Caguairan, which you already know about and continues successfully. Also, we managed to modernize our weaponry. Since the fall of the Soviet Union we have not acquired more weaponry because it is so costly, and modestly with the collaboration of the [words indistinct] of the State's central administration we have mobilized them, we have modernized them, and it has been a great accomplishment because they adjust perfectly to the type of war we would wage if we were invaded by the most powerful country on the planet, the United States. We have acquired spare parts, in addition to those we produce ourselves, and thousands of scopes, or tens of thousands of scopes for snipers, if we are going to discuss armaments, and some smaller things, but we today are stronger than ever. It has been 15 years. Today, national defence is more effective than ever. Additionally, we managed to modernize our armaments thanks to the efforts and capacity of engineers from numerous organizations, both military and civilian. This important task continues. It is permanent. The FAR continue to produce food and already meet 79 per cent of their own needs. Now, through 24 large military agricultural enterprises, where thousands of civilian workers are employed - furthermore, the majority work efficiently and generate profits - that is why I am a firm admirer and defender of large socialist state enterprises, be they agricultural, industrial, or otherwise. I underestimate neither cooperatives nor campesinos, as we say. Anyone who has relatives in the military service can ask them about the quality and quantity of food. That spirit that I just described to you for more than 15 years, or about 15 years, inspired in our people the [spirit of] Yes, We Can. For this reason, they overcame seemingly insurmountable obstacles in the most critical stage of the Special Period. That is how we are going to do it once again, like always - and I am not proposing that we start closing factories down and mobilizing workers to the fields. That is why we say that all the land, wherever it is, in the proximity of every city and town of any size, we must bring the countryside to the city, so that we would not have to bring the city to the countryside. That is a starting point. That is how we are going to do it again, like always, with the united and determined effort of all countrymen. We will produce food. We will safeguard the principal achievements of the Revolution. We will continue progressing without overlooking defence one single minute. Let us dedicate ourselves, with modesty and without fanfare, each one in the position that corresponds to him, to the daily and strict fulfilment of duty. I repeat -excuse all the repetition -Let us commit, modestly and without fanfare, each of us in our corresponding post, to strictly do our duty every day. I believe that this is the key to winning. Thank you [applause]. I bid you to take your seats briefly. This is now informal, but it may be considered part of the speech. This is a good help. As I already stated in the address, there are some issues that are personal opinions, because they are not set in stone, and there are others that are concepts, ideas; others are informational: these trends in food prices, and these very trends that we have just mentioned. This is so it does not make its way to 26 July. Regardless, there are just 15 days left till the arrival of the 55th anniversary of the attacks on the Moncada and Bayamo [pause] and Carlos Manuel de Cespedes Barracks. However, that may be a lot of time to avoid making a greater mess of things [as heard]. As I said, there are issues to ponder here and there are topics that are directives you agree to as the state's supreme government body, as we said today. Perhaps some do not agree with some things -some of the issues raised -that is why I say there are some things that are simply personal statements and opinions, and others that are concepts. Though, they are directives. Yesterday, there were discussions among the members of the top bodies of the Party and the State, even though you are the supreme body of the government, rather than the Council of State. We were in unanimous agreement with the following: soon -immediately -already work was begun and will be have to be developed by the Politburo, the Council of Ministers, and if necessary, the Council of State, on the approval of a law decree such as the one that I mentioned about land a moment ago [as heard]. We must issue a directive. If there is time, we can begin to discuss it at the next Council of Ministers meeting. From now on, this is the case. Now comes the work. This is part of the things that we will have to discuss and we will be able to see if they are feasible or not by the time we hold our congress at the end of the coming year. Because all of us who are here, who represent the will of the people, since they elected us, and the Party, which likewise elected us, even though it was a long time ago, we are in agreement. It is very important that someone who sits there where I sit is also in full agreement [applause]. I am about to finish. Take your seats. An anecdote too -we began with a jest, so we can end with another one. A real one. [Word indistinct] the documents that we had already discussed, the topics to be broached, as well as Santiago de Cuba on 26 July, those are the issues; naturally, we cannot cover everything in one single afternoon, or a single meeting or session of the Assembly. There are many issues that, in their implementation, will have to be revisited here. This was a very difficult address to write. I took it to him a bit late. I asked him -his day is very busy: exercising, writing, reflecting, thinking. Sometimes it is he who gives me international news that I have not had time to read. I asked him to reply to me as soon as possible. He broke the record this time. I received a telephone call from his spokesperson two days ago; that is why yesterday's meeting was held last night. He agreed completely. I want to remember what he said literally. It is perfect. When I was informed, I was overjoyed. I told the person who spoke with me to congratulate him. She replies, him? I say, yes. Congratulate him because he has a very intelligent brother who learned everything from him [applause]. Originally published by Cubavision TV, Havana, in Spanish 0000 11 Jul 08.